Cause mischief with this pin featuring Harley Quinn from Batman: The Animated Series. Great for wearing on clothes and perfect for adding to a collection, this is a must have for any fan of the series. 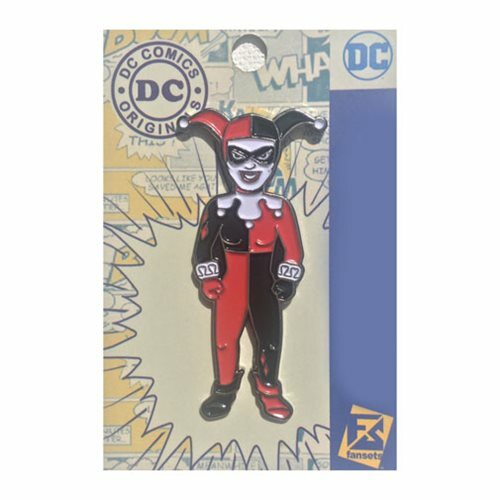 This Batman: The Animated Series Harley Quinn Pin measures approximately 2-inches tall.